This reading order aims to provide the most comprehensive reading order for New 52 Trinity Characters, including Superman, Batman, Wonder Woman and Justice League titles. – This order was born out of a number of other reading lists and my own experience, which was then extremely influenced by user recommendations and my own back issue reading. It is fluid and probably never complete. – The order contains a list of issues featuring New 52 Batman, Superman and Wonder Woman and are considered “canon”, and issues only appear once in the list at the most appropriate place to read said issue. – Placement within the reading order is a mix of chronological and publication date. The placement is considered when it is best read. – Cameos that aren’t essential to the characters aren’t necessarily included. – Unfortunately, changes aren’t tracked. Archives of older list can be found here. – If you want a digital copy of this list, you can easily copy by printing to a PDF or copying and pasting the data into your own spreadsheet or text file. – The links on the issue should lead you to that issue’s entry at Mycomicshop.com and is a good place to see the cover and other details. Buying from that link helps support this site. 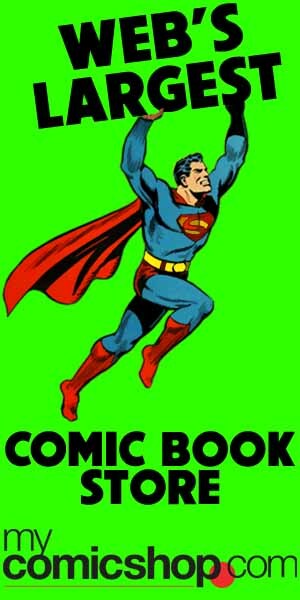 Occasionally, we place other links like HC or TP which link to the collected edition containing that issue. – New comics won’t be added frequently (too time-consuming and constantly in flux anyways). No need to ask when I will update to add in the latest releases; it’ll happen sometime, but not in any frequency to depend on the list to read your new issues. If you read new comics, both single issues and trades, then just read them as they come out. Request, questions and updates: If you have any changes to request, please do so by commenting on the latest blog post or by using the contact form. You can also ask me a question on Tumblr. First, it is not necessary to read every issue in this list. The medium and its publication practices do not line up to a perfectly linear story, but rather a mix of concurrent stories that interact to varying degrees. This reading order will help you put an order to series you want to read – it does not necessarily improve your reading experience to read everything. To start, we recommend any of the first titles you see in the list below, depending on which character interests you most. Or, start from one of the collections listed above, and pivot from there. I love you guys! Thanks so much for this! I’d love to see you guys tackle the Teen Titans from the beginning someday. This is excellent! Are you guys going to continue this list? this is great but I would love a more comprehensive list. I have a large collection of tpb’s that I organize in order of continuity on my bookshelf and I am curious about a few things (like where is the best place for Multiversity to sit) thanks. This List appears to be a bit behind, will it be updated soon?